Bring your dog to dine al fresco at many of Conshohocken’s favorite neighborhood restaurants…neither of you will be disappointed. Conshohocken Brewing Co. welcomes dogs on their deck overlooking the Schuylkill River Trail. This cozy neighborhood spot has tables on the corner of West 3rd & Fayette and welcomes dogs on a limited basis so make sure you call ahead if you are bringing your pup. Have coffee with your four-legged friends in ‘Feine’s (short for caffeine) comfy new backyard patio and seating along Fayette St. 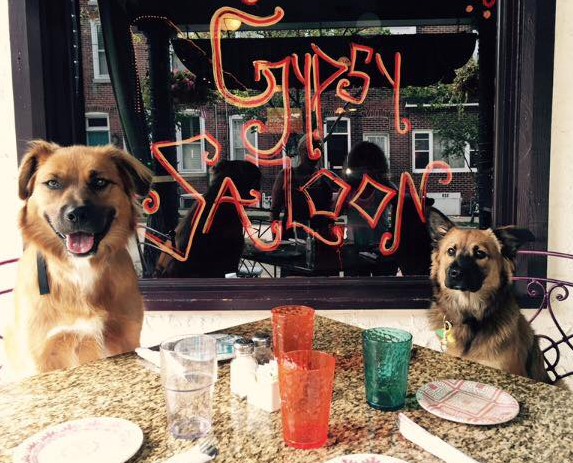 Dogs are welcome at this fun neighborhood spot’s outdoor seating along Maple Street. This long standing, dog friendly restaurant offers a special $4 menu for your pooch…all dog menu sales are given to the Home At Last Shelter, an all volunteer rescue in N. Wales. The Lucky Dog has plenty of outdoor seating and is happy to have your dog too! Your dog can also dine Al Fresco all summer long at this lovely historic BYO featuring Rustic French Cuisine, and will even be greeted with a fresh water bowl. This family-run Italian restaurant has outdoor seating along Spring Mill Ave. that is always pet friendly.